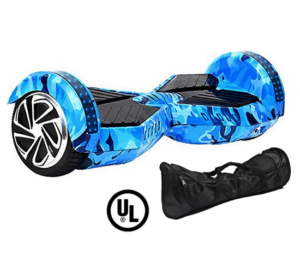 ﻿ Blue Chrome X8 Bluetooth Hoverboard | Hoverboards.com® Buy Hoverboards for Less. 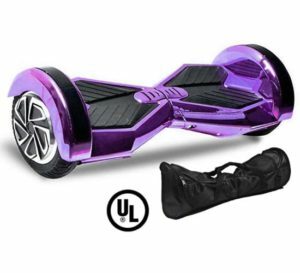 Best-selling UL2272 certified Hoverboards. FREE SAMEDAY SHIPPING | Fast 2-4 Day Delivery! Get delivery within 1-4 days via UPS! Sync to your phone and listen to music while you ride. #1 rated Hoverboard brand in the USA. We are passionate about building the safest and most dependable Hoverboard at an affordable price. However we will never compromise on safety or quality — Every Hoverboard we sell is UL2272 certified and incorporates the latest technology. Our proprietary balance technology makes it easier than ever to jump on and start riding regardless of your skill level. Most new riders learn how to ride our Hoverboard within just 10-15 minutes! Shop with confidence knowing you are buying the most durable Hoverboard with less than a 0.5% defect rate. However should something go wrong you are covered for a full 90-Days! Fast Delivery within 2-4 Days! 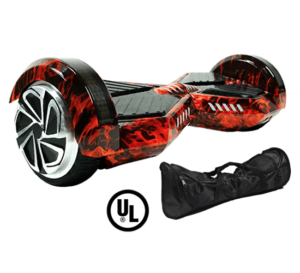 Buy with confidence from USA's largest online Hoverboard retailer since 2014! Our Hoverboards deliver an extraordinary experience in Safety, Reliability, and Quality! Unlike 95% of Hoverboards still being sold by competitors with dangerous Chinese shrink-wrapped battery cells. Our Hoverboards ONLY contain the latest generation UL Certified battery packs that can be safely charged 2,000+ times with built-in overcharge protection! Our proprietary UL2272 certified battery delivers not only more power to the Hoverboard, but also features overcharge protection. The result is a more powerful, longer lasting and the safest ride! Rated the safest battery on the market! #1 Trusted Brand — No Fires. No Overheating. No Recalls! Fully compliant with all government regulations including UL2272! Ride longer and faster with our dual 250W brushless motors. With our quick charge technology you can get a full charge in 90 minutes. Built-in Bluetooth speakers to stream music from your phone. We use the latest control boards ensuring the most stable & responsive ride. With built in LED lights you can ride more safely at night and be seen by others. 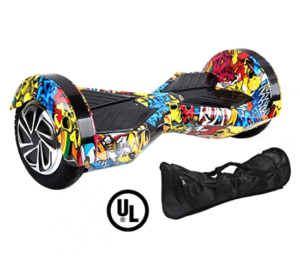 Looking for a safe & reliable Hoverboard from a trustworthy USA based company? ®Hoverboards.com is the official site and largest Hoverboard retailer since 2014. With over 100,000 riders worldwide our Hoverboards are built using the highest quality components. Our X8 Hoverboards as larger 8″ wheels, German engineered silent drive 250-watt motors, aluminum wheels, extended range battery pack, and reinforced outer shell. You’ll have a super smooth & ultra responsive ride every time you hit the streets while designed to travel 8-12 miles and support riders up to 260lbs. Drift corners with ease! Our updated foot sensors provide the most responsive and stable riding experience. Unlike other competitor models that are very jerky and hard to ride. We only use the safest UL certified Li-Ion battery packs that can be safely charged over 2,000 times. Our proprietary UL2272 certified battery delivers not only more power to the Hoverboard, but also features overcharge protection. The result is a more powerful, longer lasting and the safest ride! Over 95% of Hoverboards still being sold online contain first generation Chinese shrink-wrapped battery cells. Don’t make this costly mistake, as these batteries have a very short lifespan and cost over $45 to replace! We NEVER use dangerous Chinese batteries that are known to overheat! UL Certified battery packs with ZERO issues of fire or overheating… period! Rechargeable for over 2,000 cycles (2X competitor models) and engineered with the highest grade lithium-ion cells for the most efficient charge. When charging your Hoverboard our smart charging circuitry determines the perfect amount of power it needs for a safe, quick charge. Fail-safe circuitry prevents over-charging and controls temperature to prevent overheating. Every battery is triple-tested ensuring unmatched capacity, efficiency and long-lasting performance. We offer an extra level of security by completely encasing the entire battery in a poly-carbonate protective shell for unrivaled safety. How big are the wheels? The wheels are 8″ which is perfect for both indoor and outdoor riding on smooth surfaces. The wheels are solid rubber just like our 6.5″ X6 model, however they are slightly larger allowing it to tackle obstacles more easily while also offering a higher ground clearance. 260 lbs is the maximum rider weight. The rider should also be a minimum of 40 lbs. Shipping is FREE! We ship all Hoverboards the same day via UPS Ground, so delivery takes just 1-4 days depending on your location. Within 24 hours we will send you an email with the UPS tracking information. After that you will be able to track your order at UPS.com. ©2014-2019 Hoverboards.com | Official Hoverboard Retailer since 2014.